WAR HERO, PSYCHOPATHIC MOBSTER, OR BOTH? 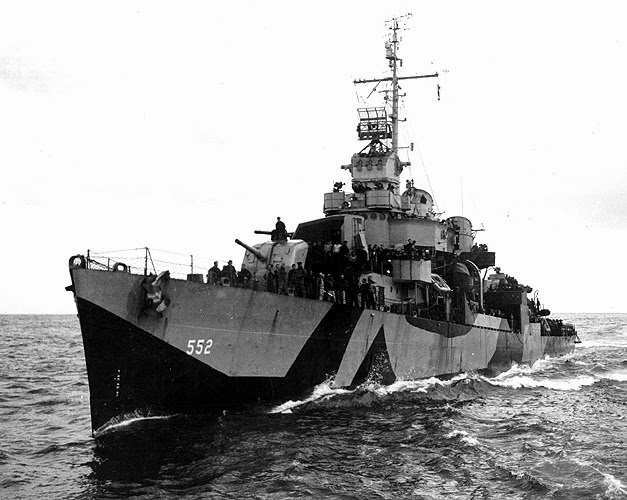 Samuel Volpendesto was a young sailor in the U.S. Navy, when on May 11, 1945, Japanese kamikaze pilots attacked the destroyer, USS Robley D. Evans. According to Volpendesto’s lawyer, and undisputed by federal prosecutors, he volunteered to risk his life by diving under water into the sinking ship to make repairs so that it could be towed to shallow water. Other sailors were trapped in the bowels of the ship, but had found air pockets where they survived until the ship could be towed. The lawyer said numerous sailors owed their lives to his client. Sam was awarded several medals for his service, including the Bronze Star, which is awarded for acts of heroism. But Sam Volpendesto came home and apparently failed in several career attempts. Finally, he found a profession at which he succeeded. He associated himself with the Chicago Outfit. He became close to mobster Michael “The Large Guy” Sarno. Although arrested numerous times, he was, according to defense court filings, never convicted of a crime. That came to an end when he was eighty-seven years old. The U.S. Attorney was investigating the Chicago mob and as a result recorded several of Sam’s conversations with other mobsters. He told of watching another target of the investigation, Sam DeStefano, grind up human body parts in a meat grinder and bounce the severed head of the victim against a wall. He was convicted of bombing a competitor’s video poker business, driving a get-away car in a robbery, and organized criminal activity. At the age of eighty-seven, Sam stood before the Judge, beside his walker, and pleaded that he wanted to die with honor. 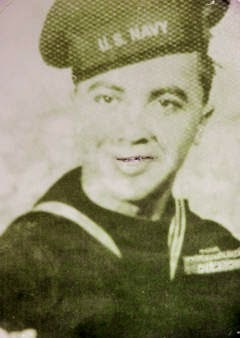 He asked that he be allowed to return home, die, and be buried in Arlington National Cemetery. The Judge was not amused. The sentence was thirty-five years and he pointed out that he expected Sam to die in prison. Sam’s attorney swore to fight for his right to be buried at Arlington National Cemetery, after a question arose as to whether he still qualified after being sent to prison. There would likely have been no question prior to the Oklahoma City Federal Building bombing by Timothy McVey. In 1997, Congress passed a law to prevent those convicted of capital murder from being buried in a national cemetery because McVey was otherwise eligible to be buried there. 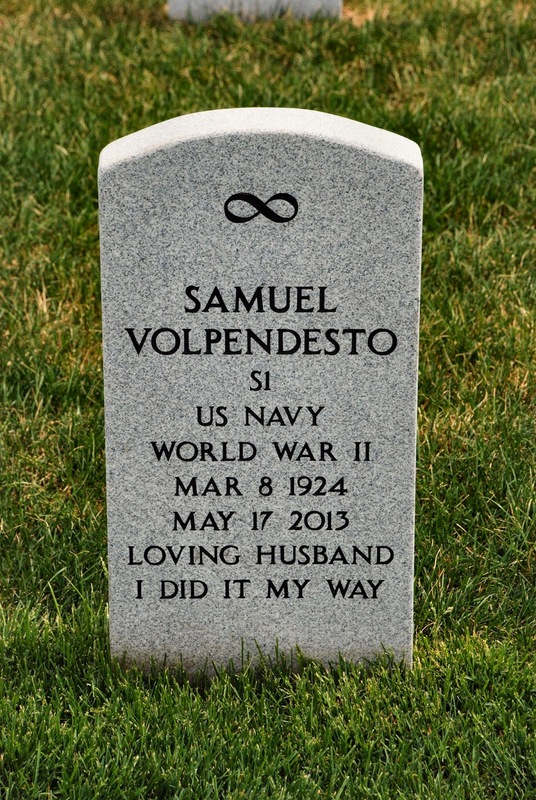 Sam Volpendesto died in 2013 while in federal prison. My research did not reveal whether the lawyer pursued internment of Sam’s remains at Arlington National Cemetery, but the mobster was buried at Abraham Lincoln National Cemetery in Elwood, Illinois. The heroic acts of a young sailor apparently overshadowed the sordid criminal career of Sam the mobster in the eyes of the Federal Government. The decision to buy him at Abraham Lincoln National Cemetery is a bit troubling. His heroism didn't define this guy. It amounted to no more than a nanosecond during his lifetime. The counter argument, I'm sure, is that his action in wartime overshadowed what he became when it came to his burial. But it's a real stretch to make a decision to inter him among the honorable.